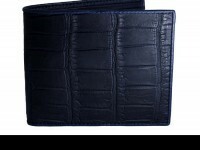 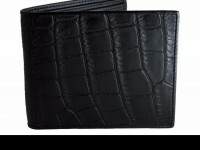 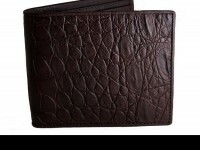 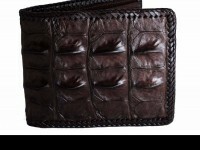 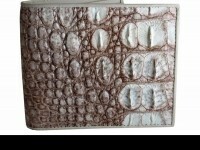 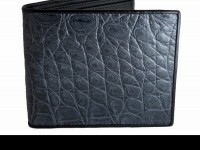 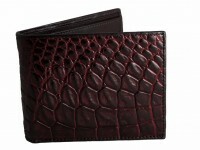 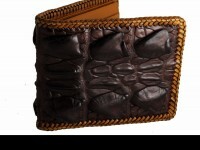 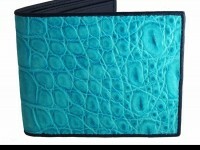 Stunning crocodile wallet made from genuine crocodile skin. 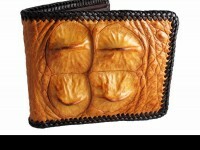 A real mens wallet in a light camel tan with seriously cool texture made from this prehistoric beast. 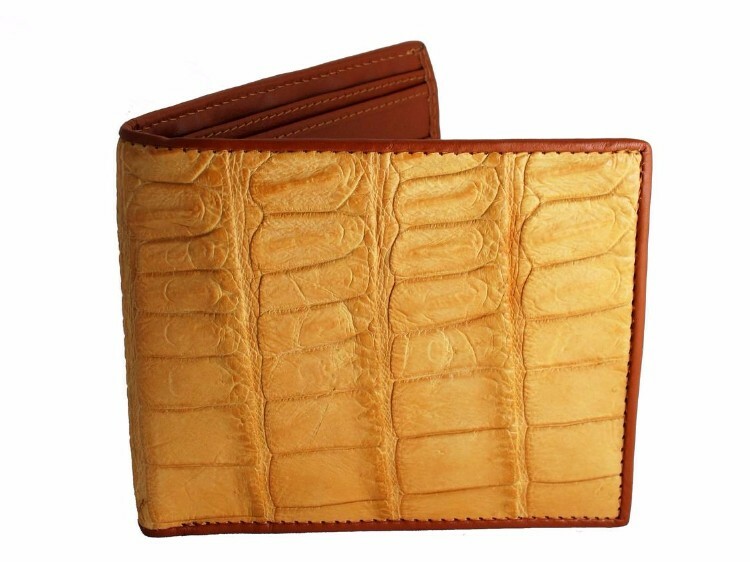 We've added croc interior feature panels to show off more of the natural grain of the crocodile skin. Exclusive and handmade by Real Mens Wallets. 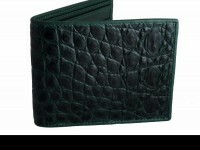 Be the proud owner of this masterpiece.